Your guide to the basics of canine nosework thru the odor recognition test (ORT). Enjoy a fun and positively based approach to training your dog in canine nosework. Any dog can participate, prior experience is not necessary. Book includes link to selected lesson videos for extra training help. 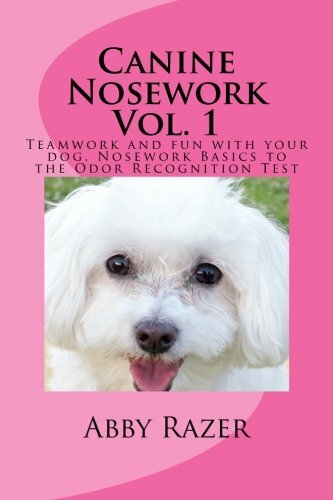 Canine Nosework: Training Log Improve your teamwork and fun with your dog by taking notes about your nosework. 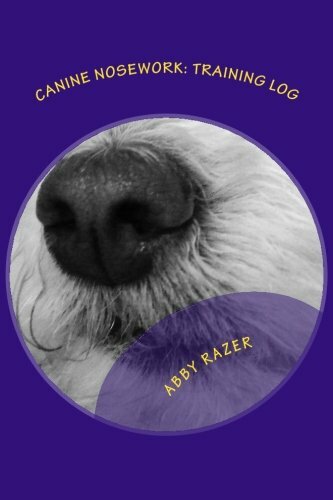 This log is designed specifically for canine nosework to allow you to journal your experiences. The log contains basic instructions and 20 full logs, that can be used more than once. Example logs here. One dog and handler's journey thru nosework. 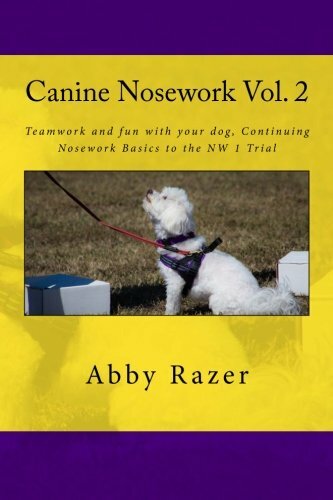 Your guide to the basics of canine nosework continuing from volume 1 to the nosework trial (NW1). Enjoy a fun and positively based approach to training your dog in canine nosework. Any dog can participate, prior experience is not necessary. Your dog will learn to find and alert to specific odors. Promotes a calm and focused dog. Creates a wonderful bond between you and your dog. Book includes link to selected lesson videos for extra training help.